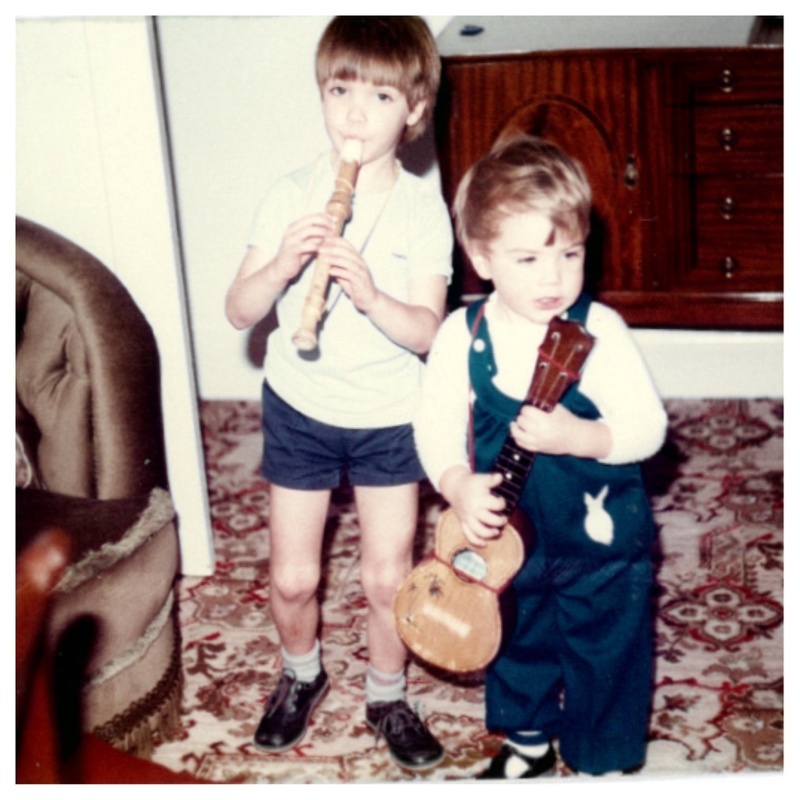 Matthew and James appeared in a lot of funny and amazing photos when they were children. Like many photos in the past, they were quickly admired and then stored away in photo albums that were likely rarely opened in the years that followed. When it came time to find a unique gift for their mom on her wedding anniversary, the guys exhausted themselves looking over the same old tired options. The two brothers eventually came up with a funny and thoughtful idea that would blow away anything they could possibly buy for their mom. 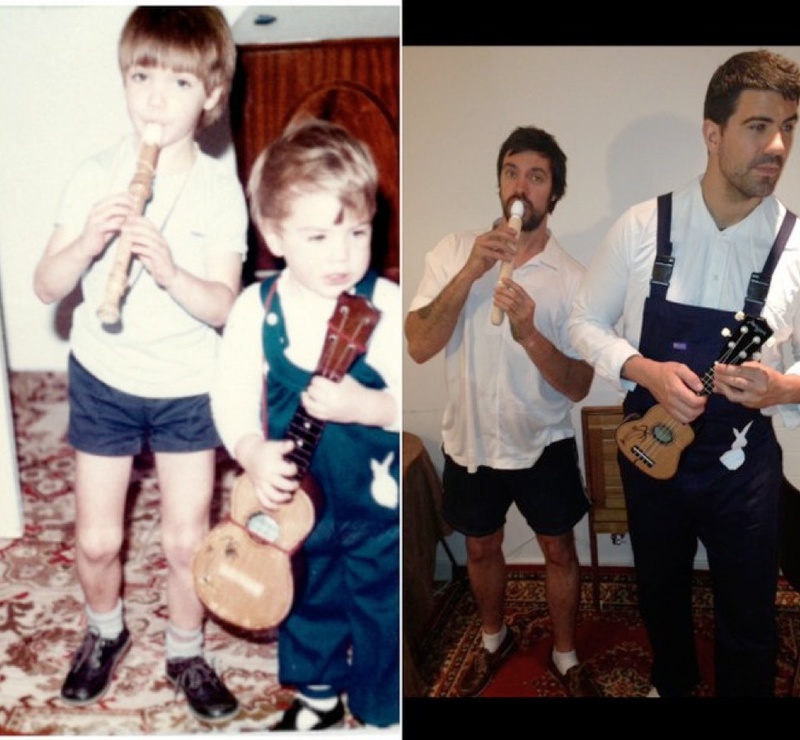 The brothers decided to recreate as many childhood photos as possible. The photos looks amazingly similar to the originals with touching and hilarious results. One of the brothers is now covered in tattoos from the neck down but they did a good job of hiding the difference. Mom loved the photos but was more happy to learn that the brothers spent some quality time together working on the project. 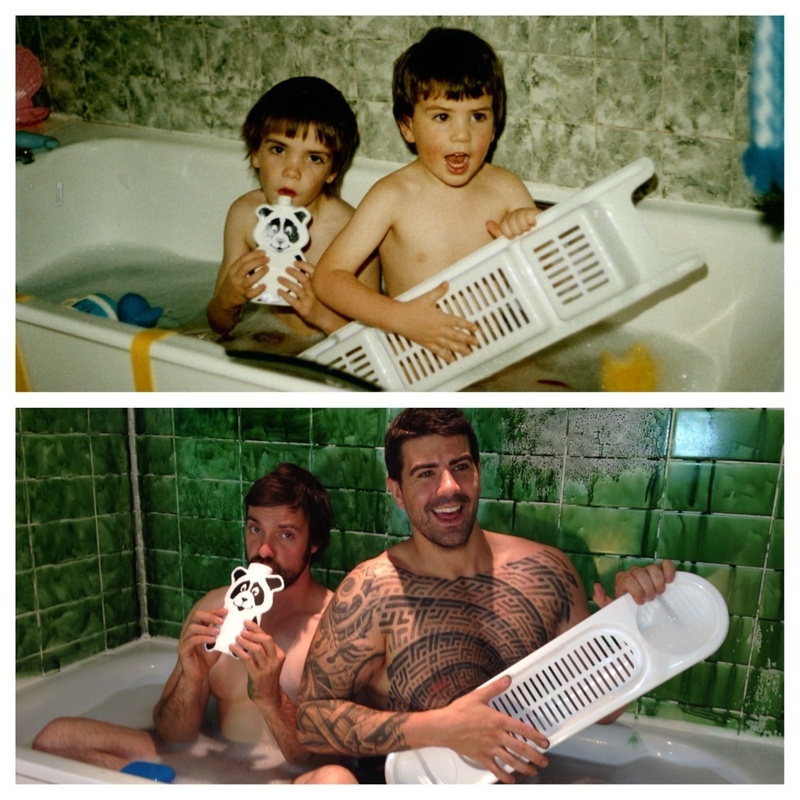 They even jumped in a bath together to recreate a classic photo from their childhood. They even photoshopped a few scenarios because the same background was no longer available. The photos have been bringing joy to millions of people on the internet who have viewed them. 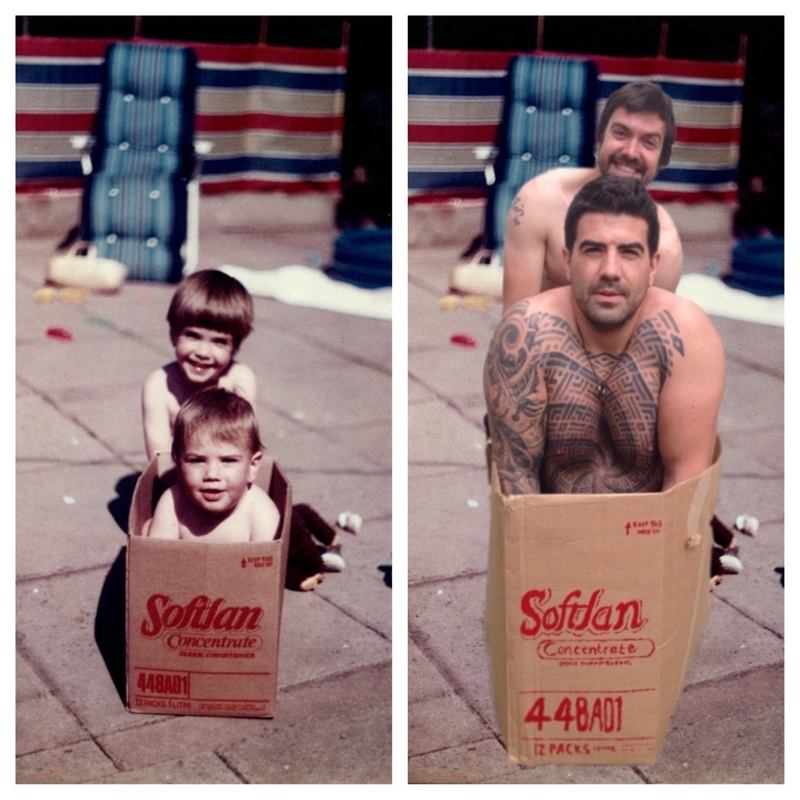 Even an old toddler photo was recreated despite a lack of clothes. 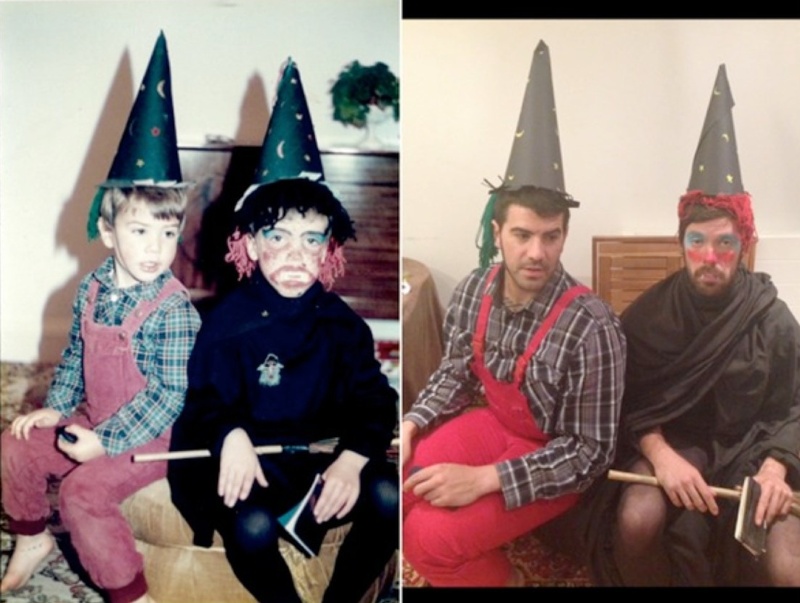 Recreating childhood pictures has become a regular internet trend and we can definitely see why! 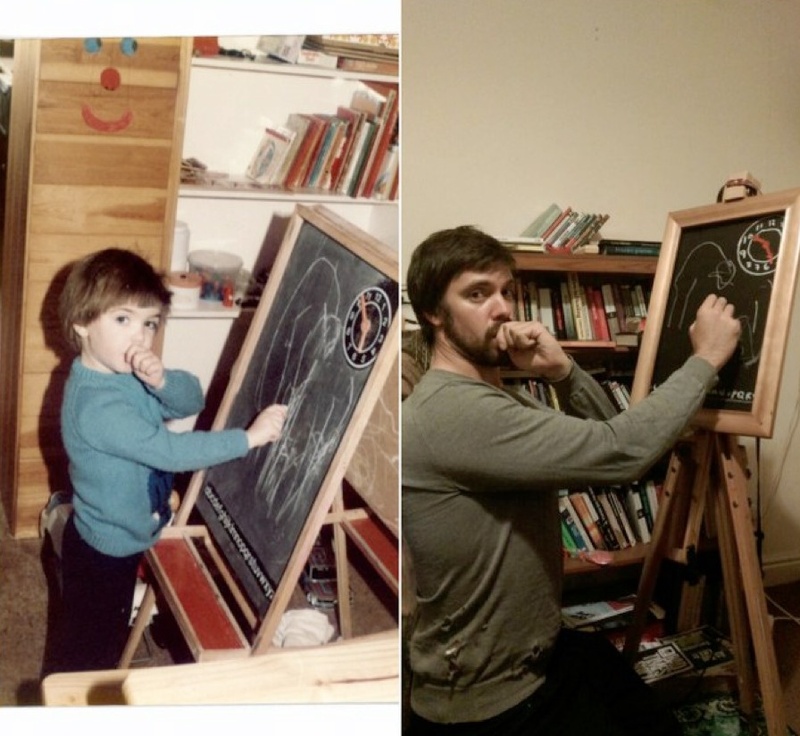 Do you have your own photo recreations? 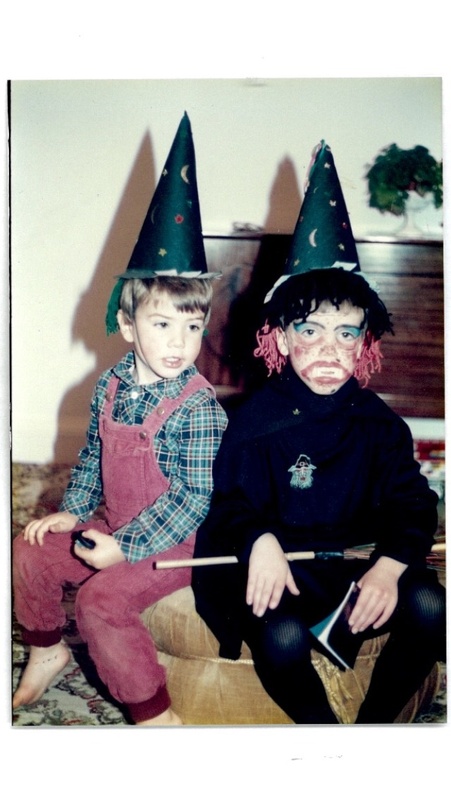 Share them on our Facebook page so we can create another hilarious photo recreation series.